Christ Church Helme, Meltham, Holmfirth. Christ Church Helme is a beautiful church tucked away in Helme village on the outskirts of Meltham. It’s a beautiful Victorian building with pristine grounds and would be an ideal place to get married. It’s one of those little gems that goes unnoticed by most people unless you have reason to actually visit Helme. 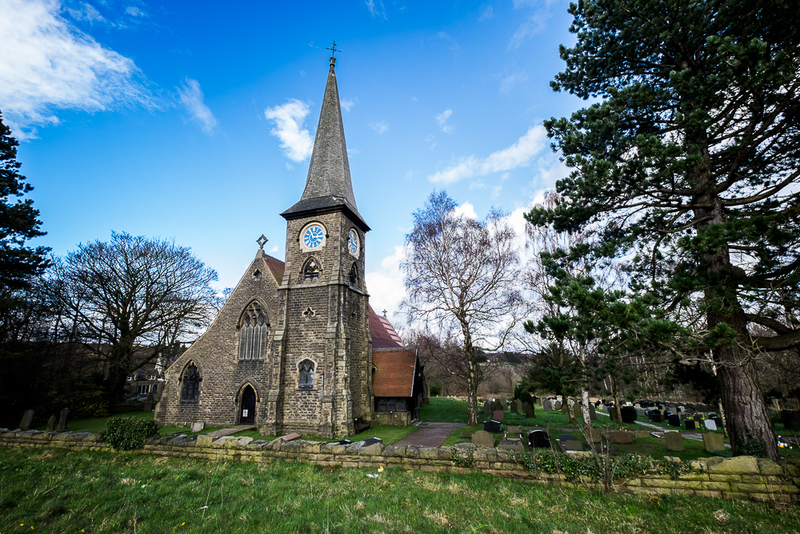 Surprisingly enough, even though it’s barely visible from the surrounding roads Christ Church Helme is very well sort after for weddings and worth viewing if you are looking for a special little church for your wedding. I would love to be your wedding photographer at Christ Church Helme. Just imagine how amazing your wedding photographs would look if you were to take your vows here. I would love to be your wedding photographer at this incredible location just a few miles from Huddersfield, West Yorkshire. For me, wedding photography is all about emotion and feeling and a great location can definitely add to this. Of all the locations in and around Huddersfield, this sure is one of my favourites. 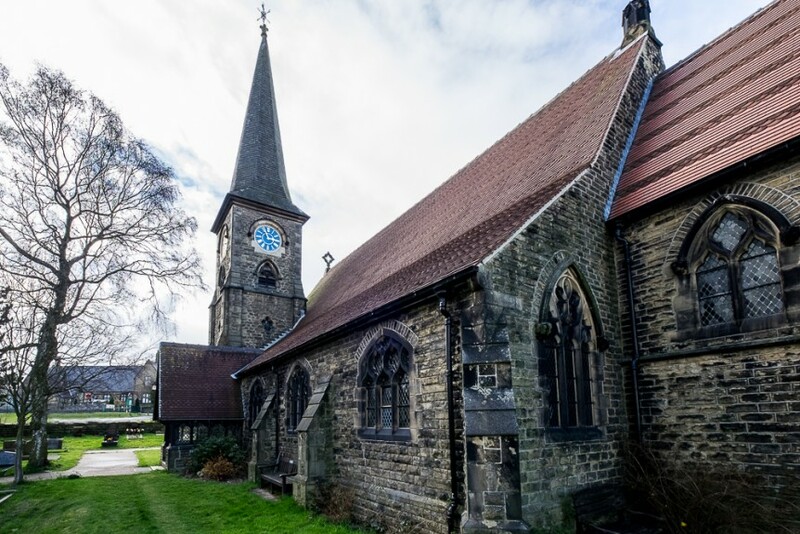 I will be posting more articles about churches in and around Yorkshire but I couldn’t think of a better place to start, especially as I am based a mile away in the centre of Meltham. You can contact us here or call us directly on 07947 689 841 to discuss details further. On more than one occasion Christ Church Helme has appeared in Last of the Summer Wine with some of the parishioners standing in as extras. So why not walk in their footsteps and take a look at this great little church. It could be just what your looking for. Here is a link to the website Parish of Christ the King Meltham for additional information.